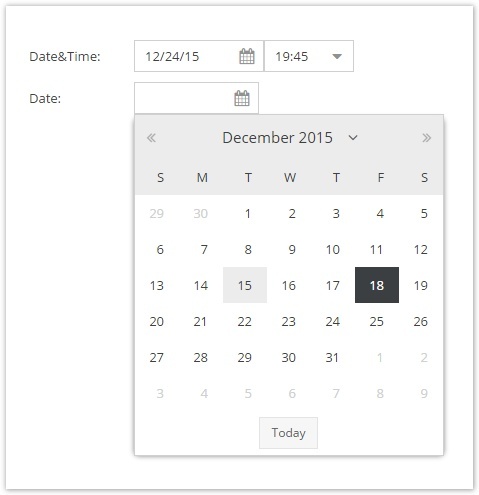 The date and date & time object fields are represented by a calender widget in the Pimcore GUI. In the database its data is saved as unix timestamp and thereby stored in an INT data column. Programmatically these data types are represented by a DateTime/Carbon Object. 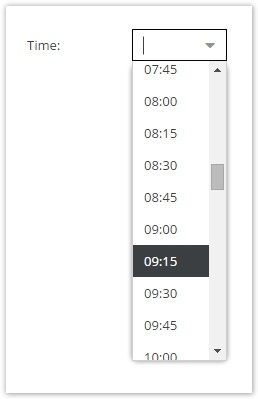 The time data field is the same drop down list of day times as in the date & time field. It's stored as a string in a VARCHAR(5) column in the database and can be set programmatically by simply passing a string like for example "11:00" to the field's setter.